It’s bank holiday competition time! 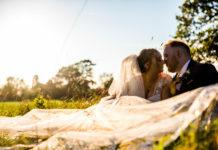 This Easter, we’ve teamed up with home and garden specialists, Hayes Garden World to give away a single hanging rattan cocoon for Summer, worth £349.99. 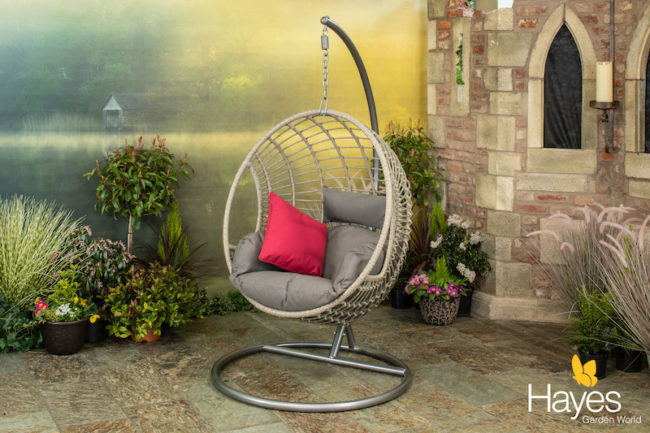 The stunning hanging wicker egg chair from Hayes Garden World is perfect for a sunny spot on the patio or tucked away in the corner of the garden where you won’t be disturbed! The rattan cocoon and it’s simple grey cushions give the cosy chair a timeless style. Its open structure gives you an open view of your surroundings, and the thick cushions and gentle swinging motion are a great accompaniment to a good book. If the weather turns nasty, the lovely cocoon chair is versatile in design, meaning it will be equally be at home indoors, in a lounge or conservatory. The chair and stand have a strong, rust proofed metal frame and the chair is wrapped in grey UV proof synthetic rattan fibre which is weatherproof and virtually maintenance free. Hayes Garden World is a leading UK home and garden retailer with over 200 years of gardening expertise. Hayes Garden World is headquartered in Ambleside, Cumbria, where its flagship garden centre store is based. The retailer now caters nationwide and is a leading supplier of luxury garden products, from outdoor furniture to barbecue accessories. For more information on Hayes Garden World and to view the full range, visit: www.hayesgardenworld.co.uk.